On behalf of Admin of JML Law, A Professional Law Corporation posted in Bus Accident on Saturday, Oct 13 2018. Vehicle accidents are never an enjoyable experience. The shock of something so negative occurring during a daily occurrence can be a lot to deal with. Vehicle accidents can leave you injured, out of work, and emotionally traumatized. However, if you wish to file a claim after an accident, you should know that no two accidents are created equal. This is especially true if you were involved in an accident involving a commercial vehicle. Commercial vehicles refer to large trucks like big rigs, semis, and buses. Do to their enormity, accidents involving buses or other commercial vehicles differ from car accidents in the damage they cause. 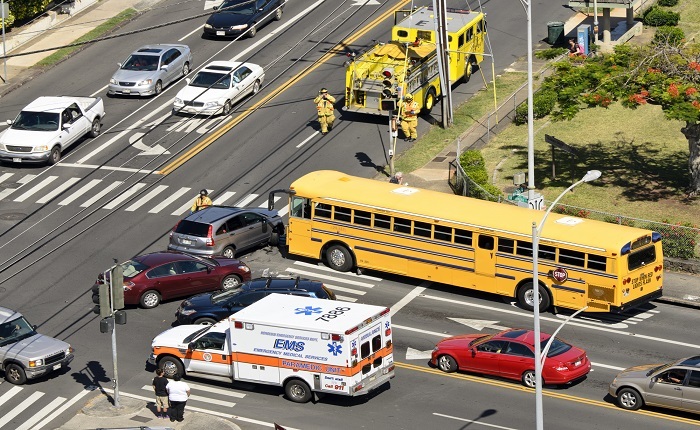 But the damage isn’t the only way bus accidents differ from car accidents. The way you approach a bus accident claim is completely different than approaching a car accident claim. Treating the two accidents as interchangeable could ruin your chances of a successful bus accident claim. While knowing the differences between bus accidents and car accidents in regards to pursuing a claim may help you to avoid making key mistakes, you should consider a Long Beach bus accident attorney if you were recently involved in an accident to receive more personalized guidance. Bus accident claims and car accident claims are unique situations that require unique approaches. Nonetheless, both accidents share a clear commonality: the cause is usually negligent driving. In any type of accident claim, another driver’s negligence is a key element in pursuing damages. The main difference in pursuing a bus accident claim is that a bus can be either privately owned or owned by a government body. Pursuing a bus accident claim with a privately owned bus is not terribly different than pursuing any other type of vehicle claim. Pursuing a government-owned bus after an accident is a different story completely. It can be incredibly difficult to pursue a claim involving a government-owned bus. In California, government-owned buses can provide their own insurance. This gives them the finical backing of an entire municipal government. This allows government-insured buses to dictate the nature of their own insurance payouts Doing so allows for layers of bureaucratic nonsense, such as denying responsibility and manipulating the six-month statute of limitations, to prevent you from obtaining compensation after negligent bus diving caused an accident you were involved in. Being involved in a bus accident has likely left you suffering from multiple injuries, high medical bills, and an inability to earn income. Being involved in an accident with a government-owned bus may be adding complications that make it difficult for you to pursue a claim. Whatever the particulars of the situation may be, you should consider consulting with a Long Beach bus accident attorney. Our attorneys from JML Law have the experience necessary to navigate the complexities of any bus accident. We will put this experience to use and do everything in our power to obtain compensation on your behalf. For a free consultation, contact us by clicking this link or by giving us a call at 818-610-8800.